Discussion in 'Battlefront Command' started by Jakobi, Oct 3, 2017. So I pre-ordered and we can start playing the beta this Wednesday which runs to Sunday. Sooooooooooooo excited! I won't be able to play until much later but I'm still excited to see all the footage and have a quick go before bed tonight. If it downloads in time that is. Getting ready now to jump in and try it out. I played for a bit last night and I'm a bit dissapointed. The game looks amazing but it feels a bit clunky and slow. 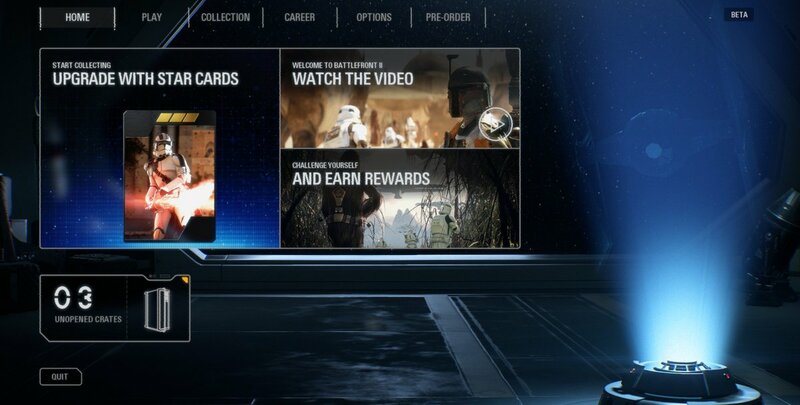 I don't like the classes or the new star card system either but I will just have to get used to it.